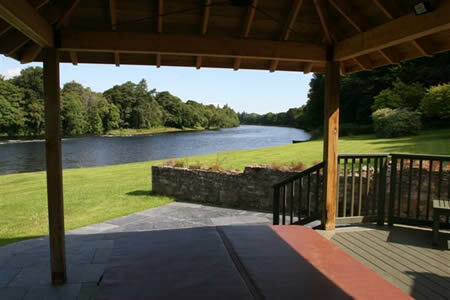 The River Ness hosts one of the most productive summer and autumn runs of salmon in the North of Scotland with fresh fish being caught right up to the last day of the season, October 15th. All of the pools are readily fished from the bank or are easily waded, although in higher water, fishing can be carried out from one of our four boats at the ghillie’s discretion. Fishing is let for five rods, and the beat is equally productive in both low or high water with the river running gin clear regardless. This is due to Loch Ness acting as a giant filter and stopping any visible sediment getting into the river. As an addition to the fishing the beat has also secured the services of 3 times World Spey Casting Champion and qualified casting instructor Gordon Armstrong as resident ghillie. Gordon is on hand to help guests throughout their stay and offer expert advice to those anglers keen to improve their casting techniques. 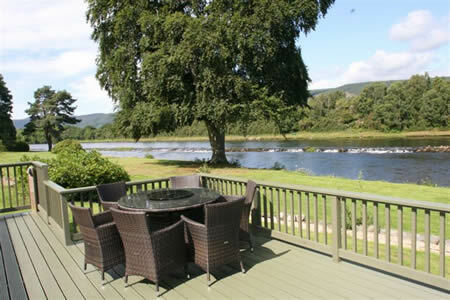 The Laggan beat for 3 rods lies immediately upstream of Ness Castle and is available to let separately during the Summer and Autumn. 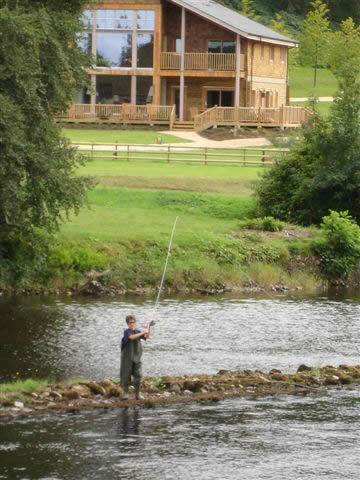 In conjunction with the fishing, River Lodge provides five star luxury accommodation, adjacent to the fishing on the banks of the River Ness. Newly built, the house is finished to the highest standards to include 6 Double/Twin bedrooms all en-suite, and is provided on a self catered basis. 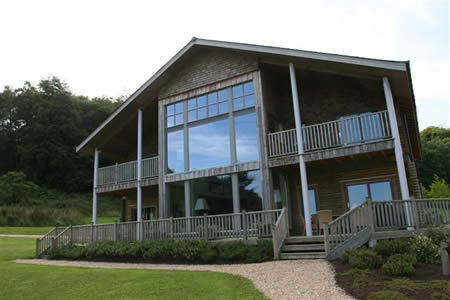 In addition to the lodge, there is also an equally luxurious appointed fishing hut, which includes a rod room, dining room and fully equipped kitchen for lunches and dinners and a terrace overlooking the beat.